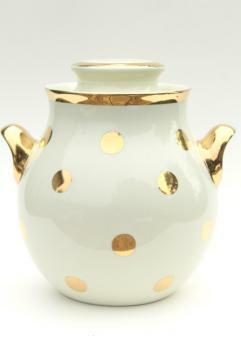 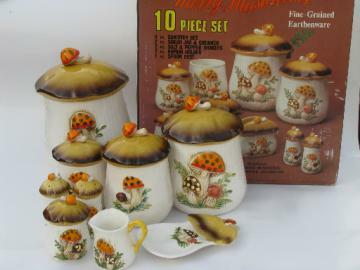 70s vintage Merry Mushrooms lot Sears ceramic kitchen clock, canisters, mugs etc..
1950s vintage Hall china cookie jar, mod gold dots polka dot dotted spotted! 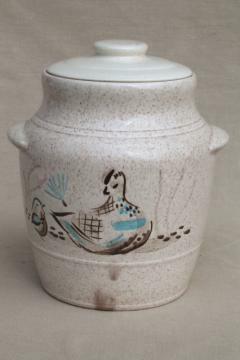 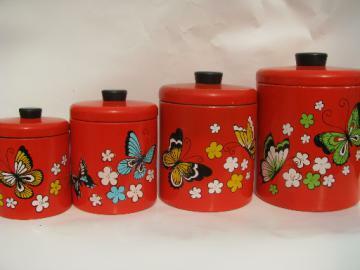 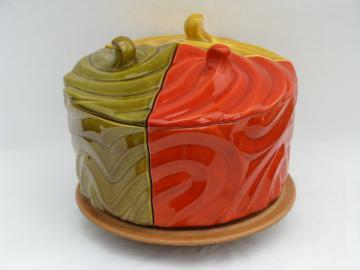 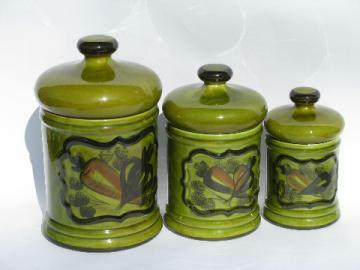 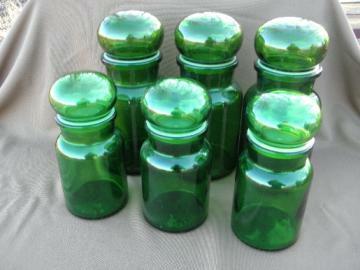 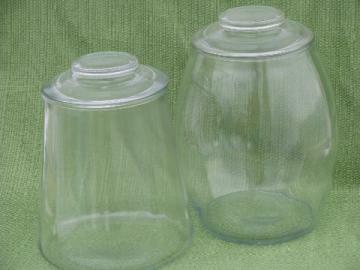 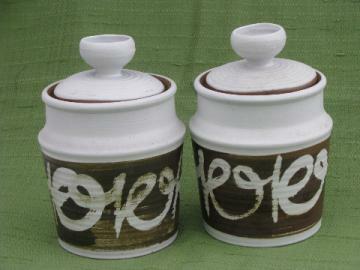 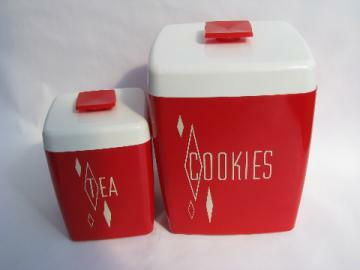 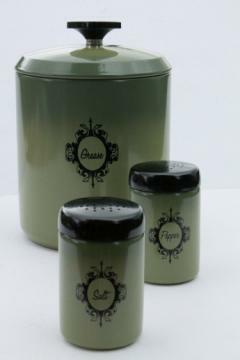 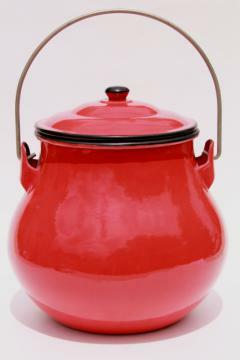 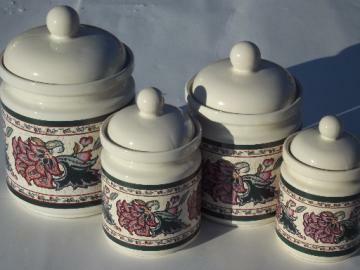 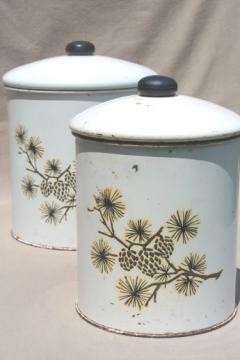 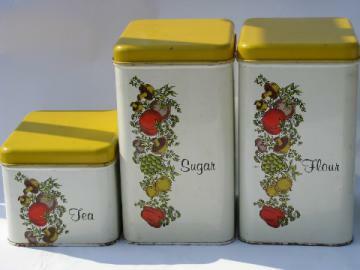 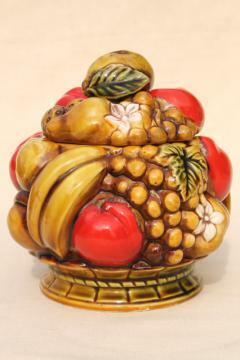 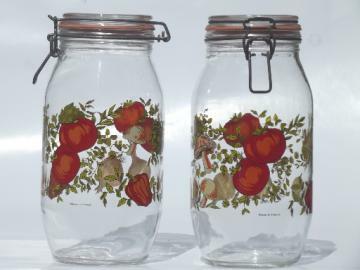 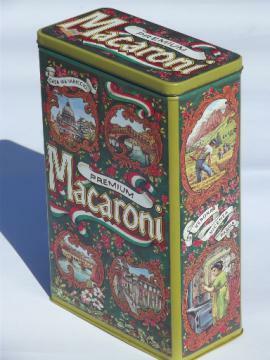 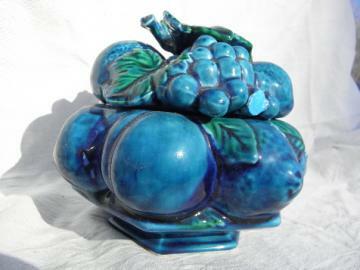 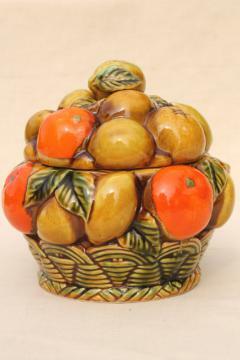 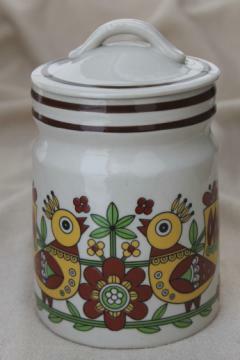 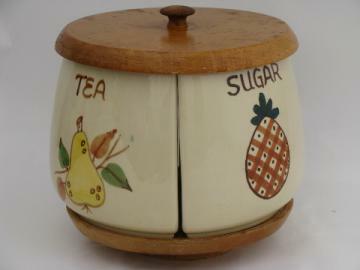 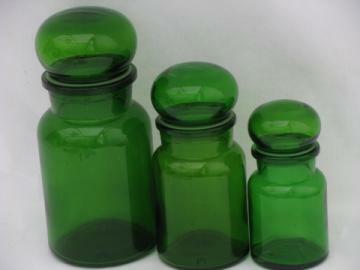 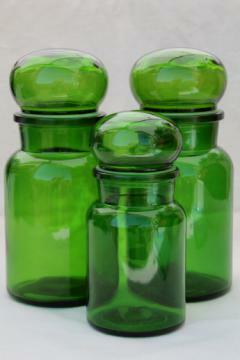 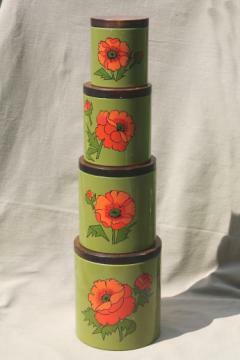 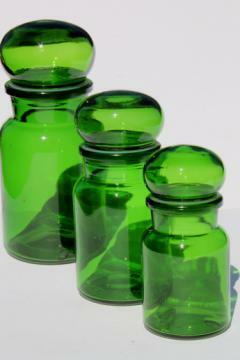 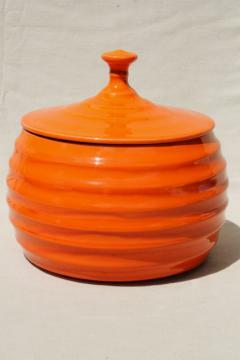 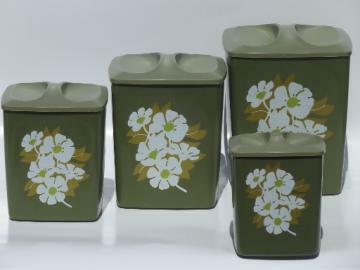 Vintage Ransburg kitchen canisters set, red poppies on olive green, 60s - 70s retro! 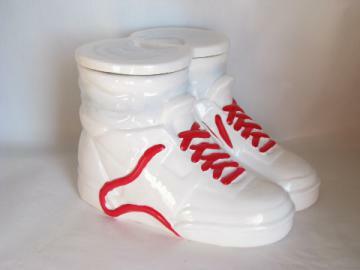 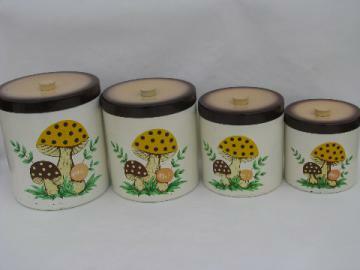 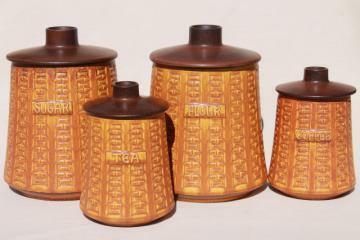 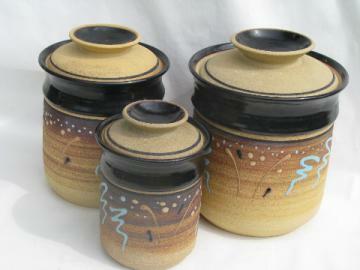 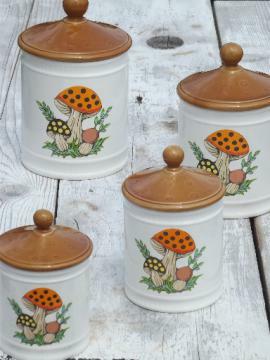 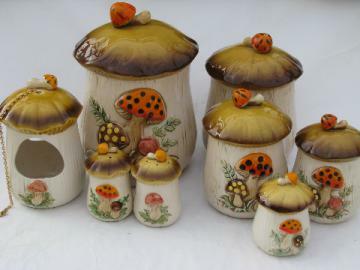 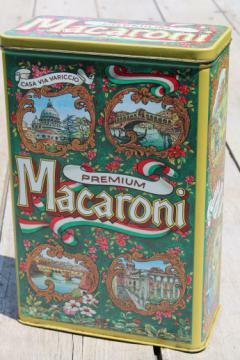 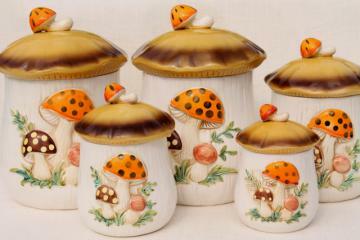 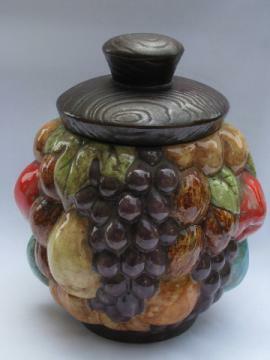 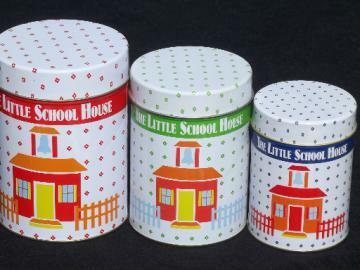 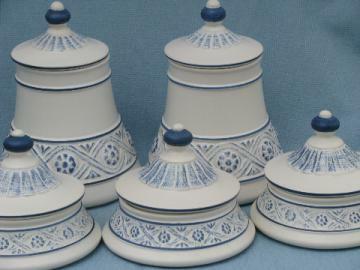 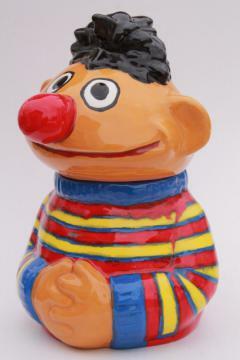 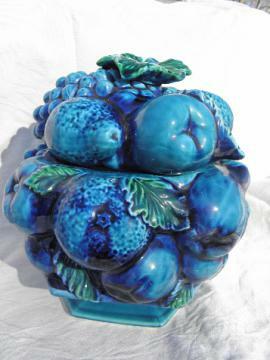 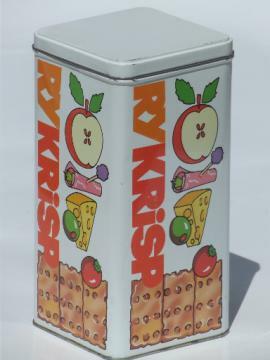 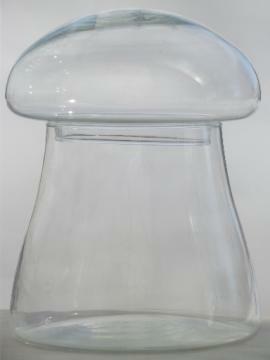 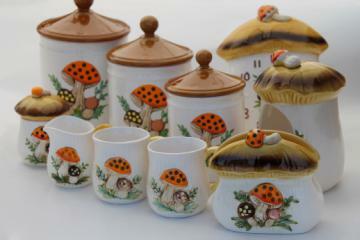 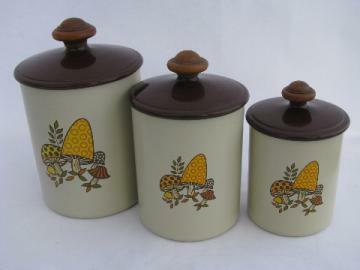 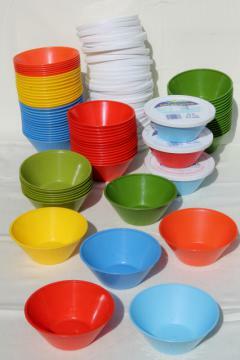 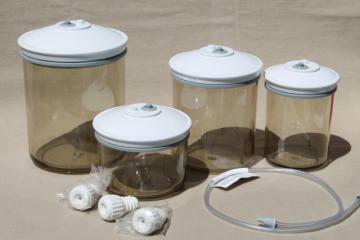 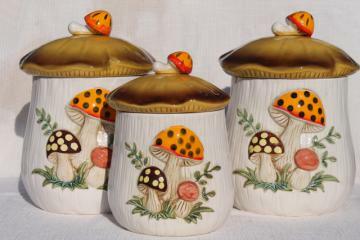 80s vintage Merry Mushroom Sears kitchen canisters set, retro mushrooms! 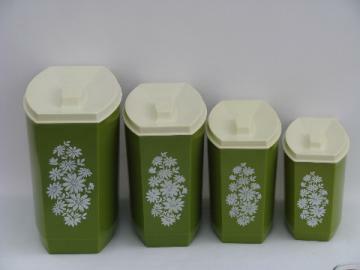 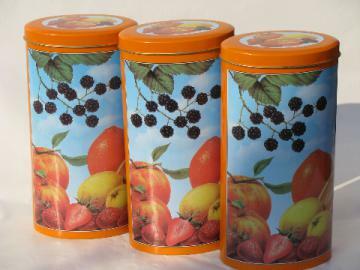 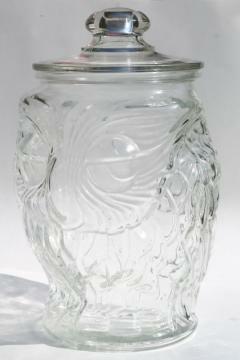 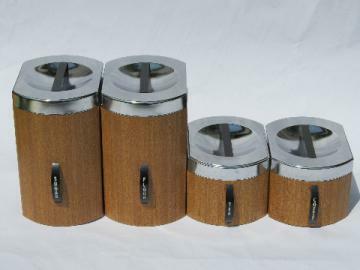 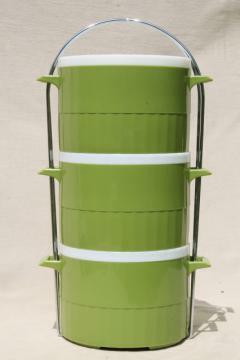 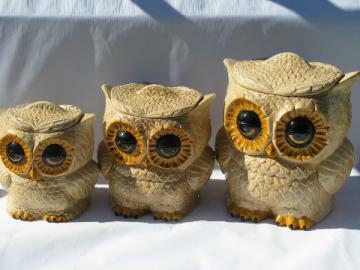 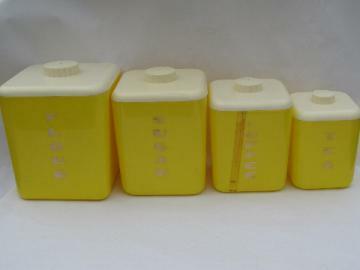 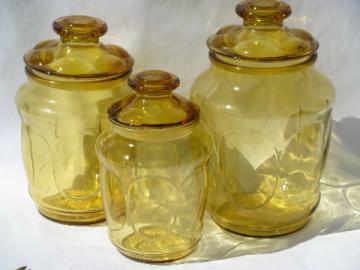 70s vintage West Bend aluminum kitchen canisters, retro flower power daisies! 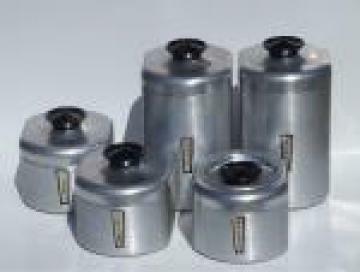 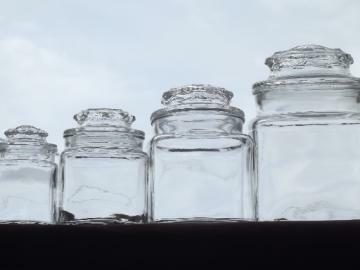 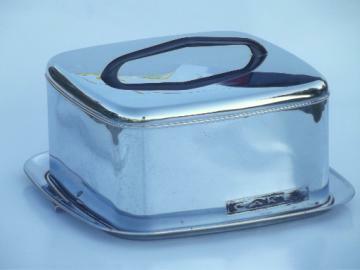 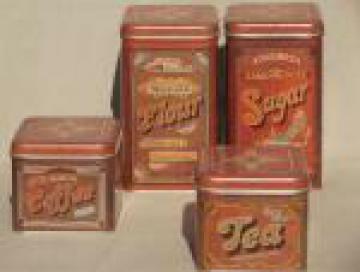 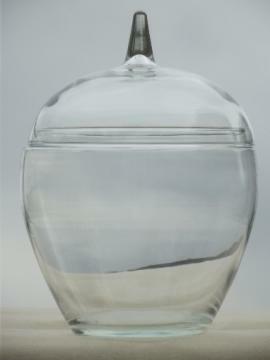 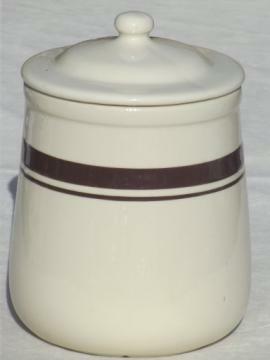 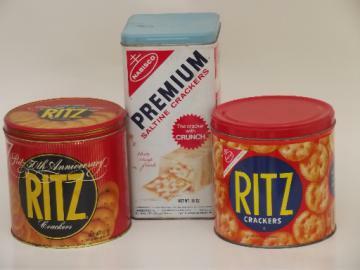 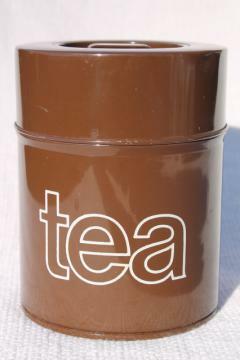 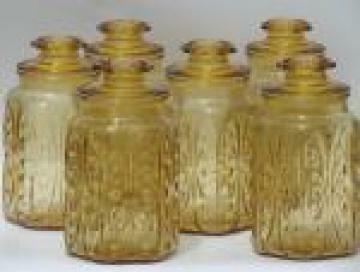 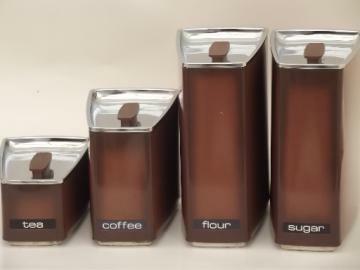 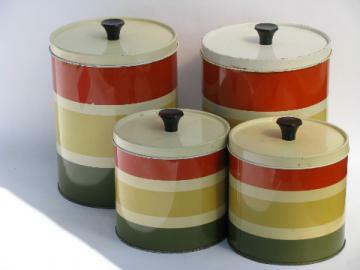 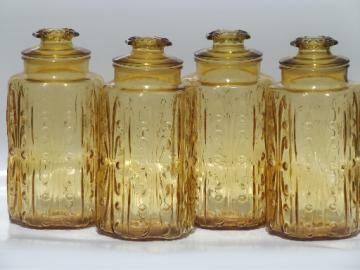 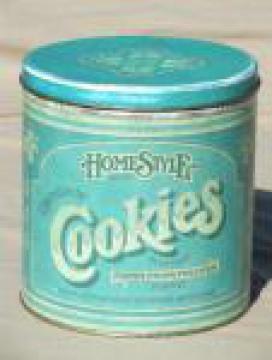 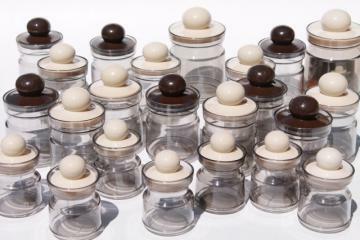 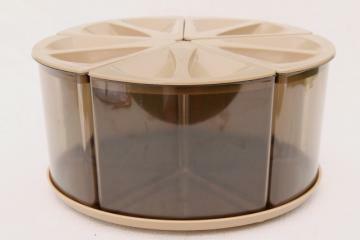 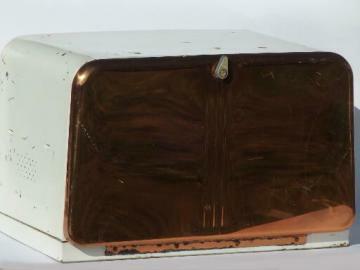 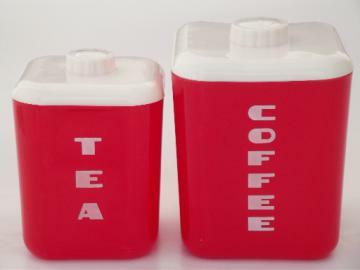 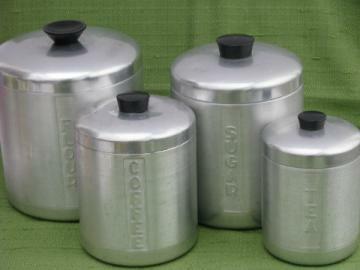 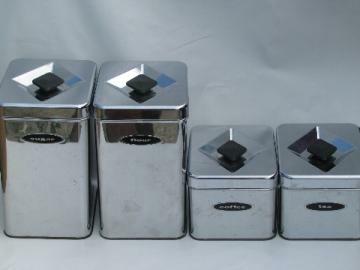 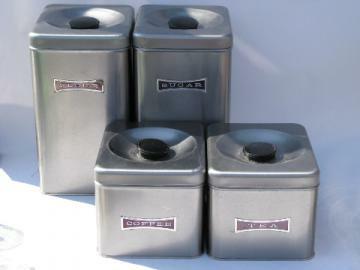 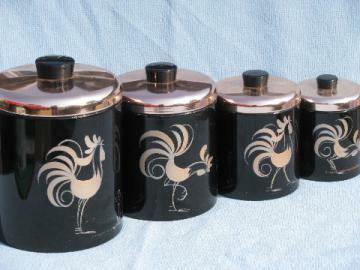 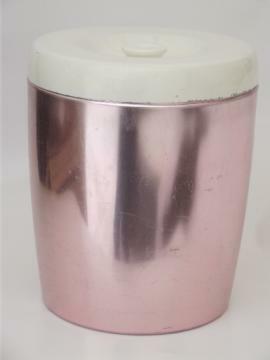 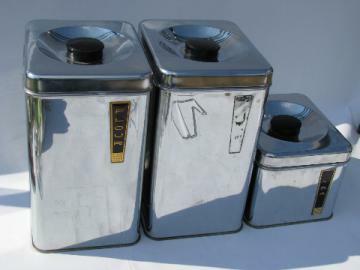 Lincoln BeautyWare vintage chrome canisters, 1950s retro kitchen! 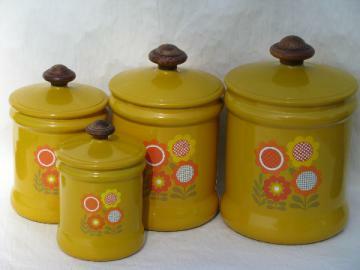 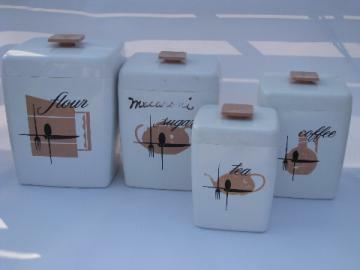 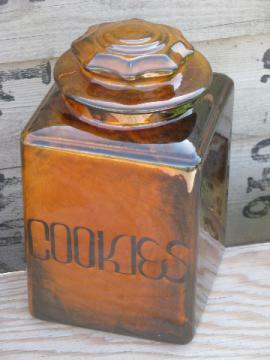 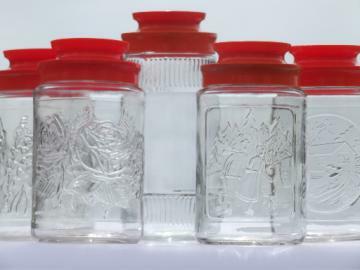 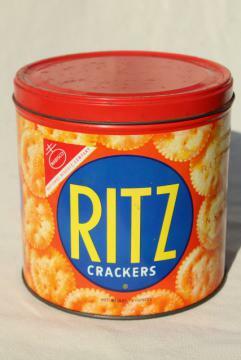 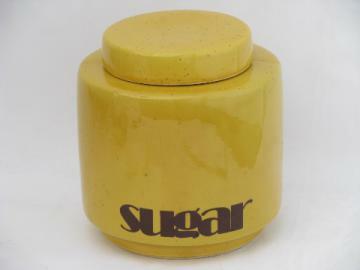 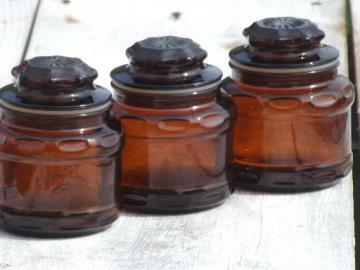 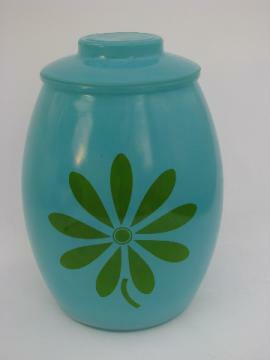 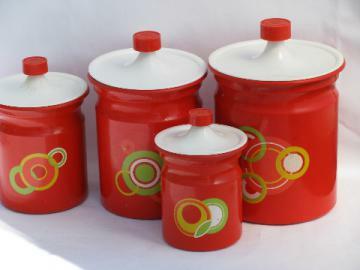 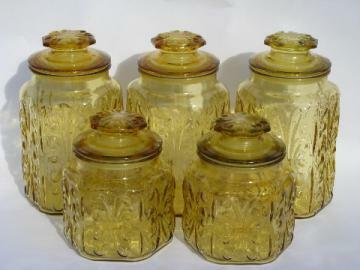 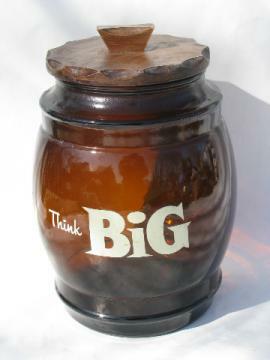 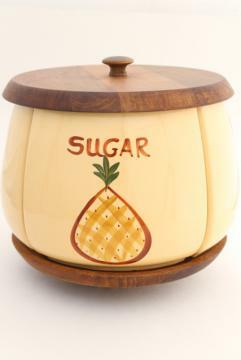 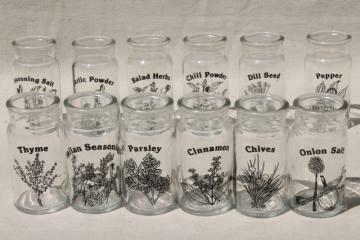 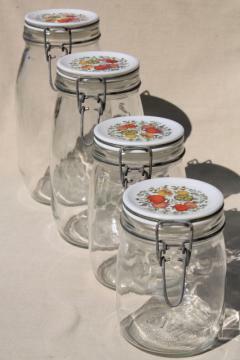 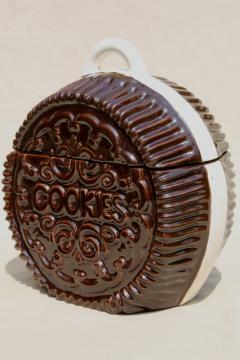 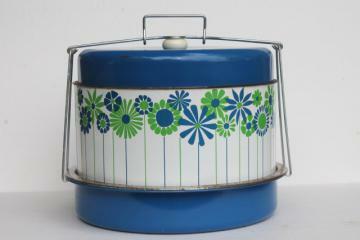 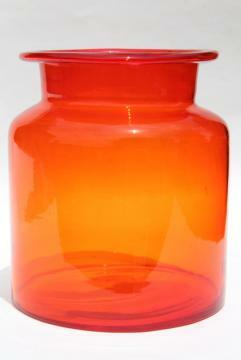 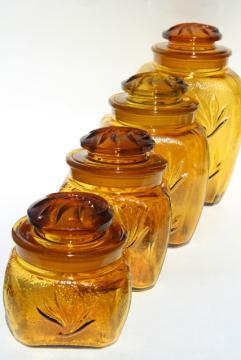 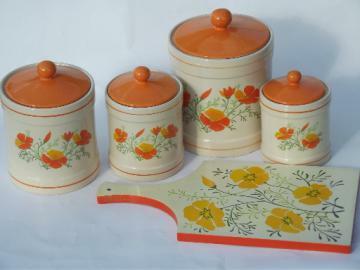 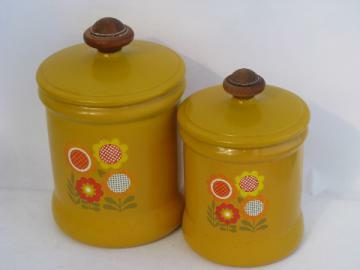 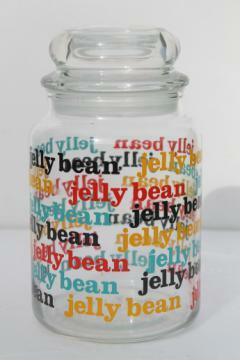 70&apos;s vintage metal kitchen canisters, retro flower power daisies!